Lawn covers over 65,000 square miles of land in the United States and, as such, is the largest cultivated crop, exceeding that of corn or soybeans. 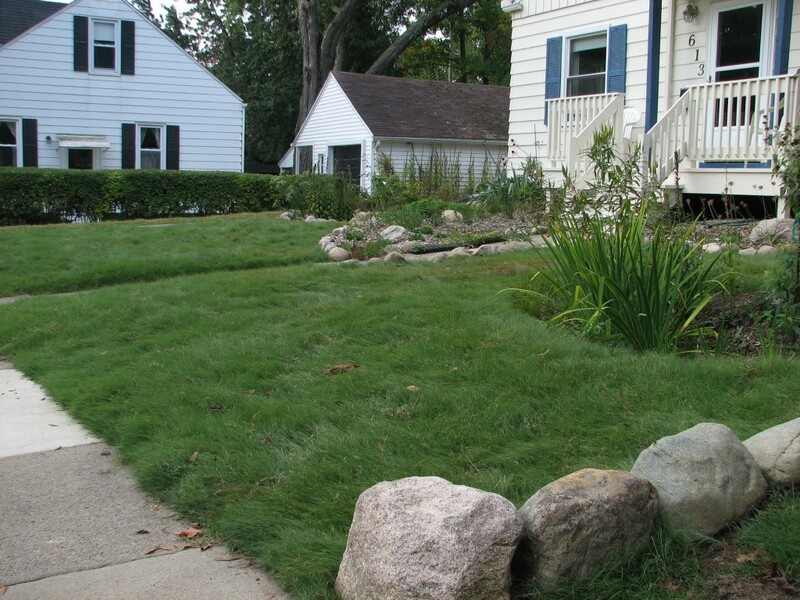 Lawns consume 30,000 tons of pesticides every year and many are possible or probable carcinogens. 800 million gallons of gasoline propel our lawn mowers spewing CO2 into the atmosphere. And 30% of our municipal water supplies are wasted yearly to quench our lawn’s thirst. 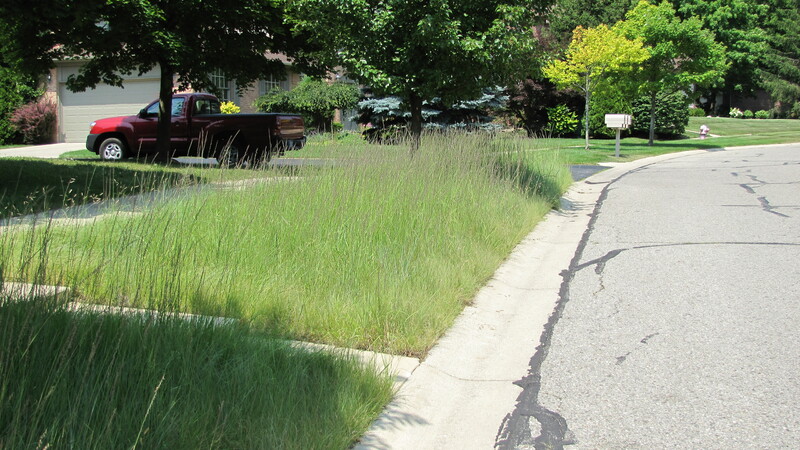 Buffalo Grass is a native turfgrass substitute that grows only five inches tall. 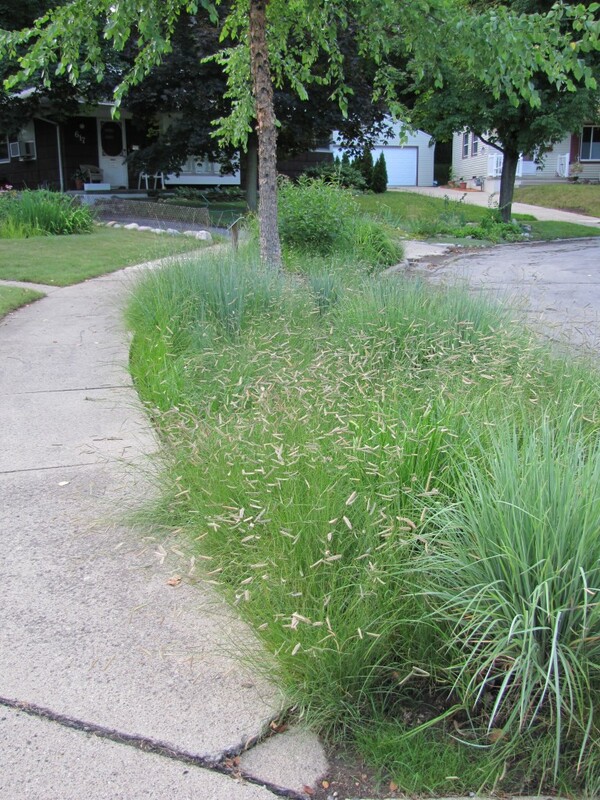 Native to the high plains west of Chicago, it has an 8 foot deep root system (compared to 4 inches for typical turfgrass) and thus requires little water, no fertilizer, and is more weed resistant. Why do you not know about Buffalo Grass? Because Scotts and Big Horticulture do not want you to and want you to have a chemically addicted lawn instead. Where playspace is not required, taller short prairie grasses can be used. Click here for info on other native Michigan flora.